Enter your username/password for TC2000 in the sign in screen (if not automatically populated). 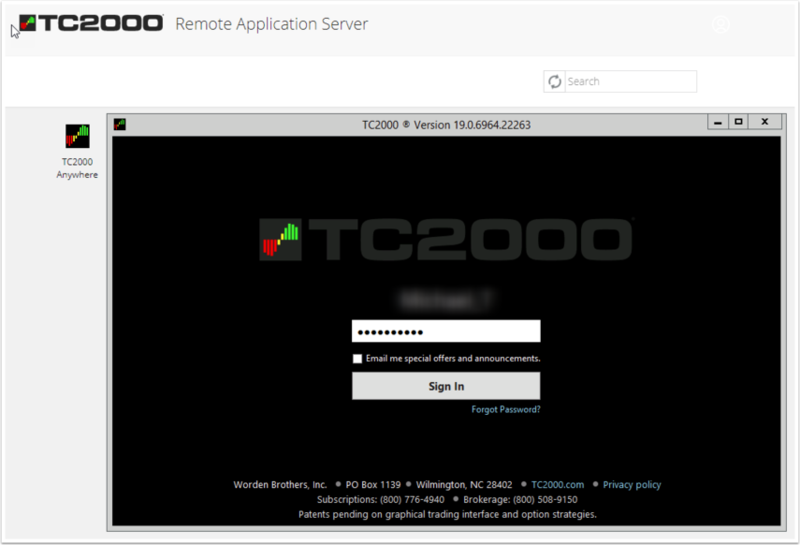 TC2000 Anywhere operating in your browser will function just as it does on your desktop. 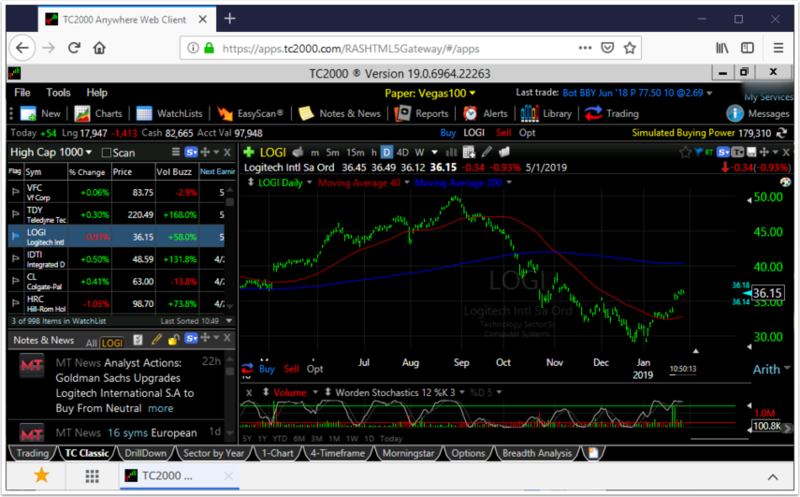 You can access your TC2000 from any computer's browser (e.g. the Library, a friend's house, etc.) giving you freedom to use your TC2000 even when you're not at your own computer.